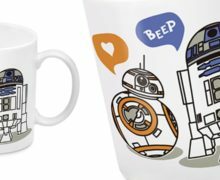 BB-Owl is a Star Wars-themed art installation, in the shape of an owl but decorated in the style of BB-8, currently on display at Jellicoe Plaza in Wynyard Quarter, Auckland. He was created by artist Mandii Pope as part of the Big Hoot city-wide art trail event. 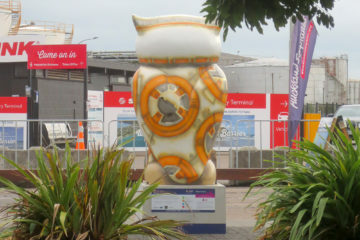 The Big Hoot is currently “swooping through the streets of Auckland City and its surrounds for nine weeks from the 3rd of March to the 6th of May 2018”. 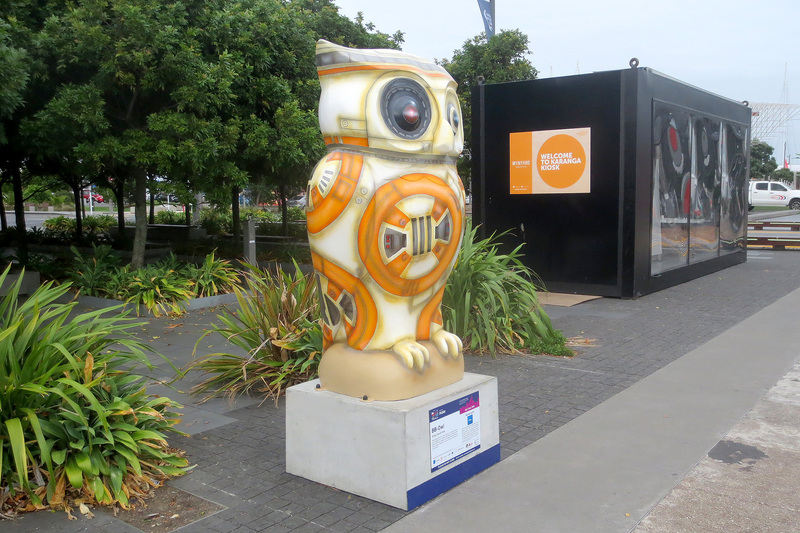 The Haier Big Hoot Auckland 2018 event features 47 fiberglass 1.65m tall Owls that have been styled up by selected emerging and established artists. 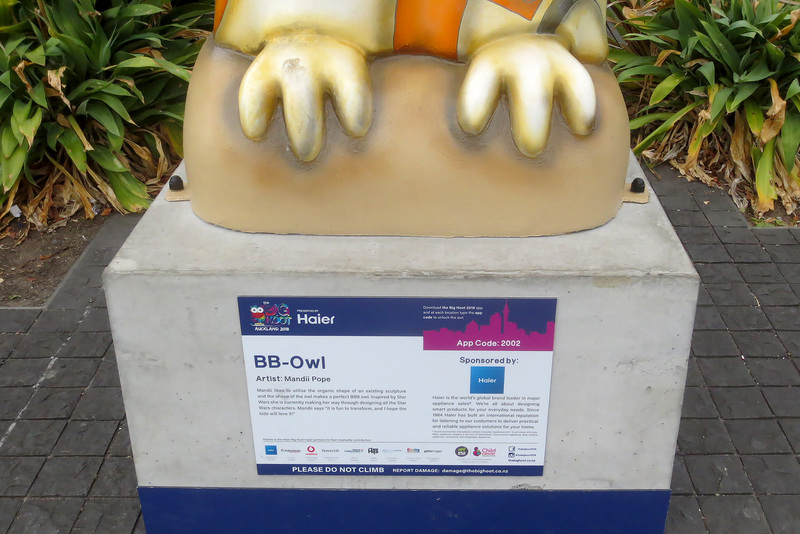 It is presented in conjunction with UK-based Wild In Art, the international organisation that is “dedicated to the promotion of art through the creation of mass participation public art events which bring art onto the streets for the enjoyment of all.” Through sponsorship, and auction of the owls at the close of the event, The Big Hoot is raising funds for the Child Cancer Foundation. 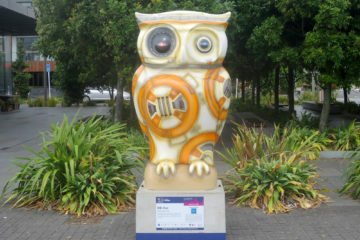 You can read more at the official website, www.BigHoot.co.nz, including BB-Owl’s detail page here. 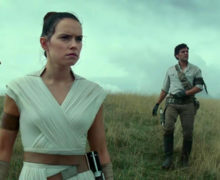 As part of her portfolio, artist Mandii Pope has created 25 public art sculptures to date for various charities around the globe, a number of which feature Star Wars inspiration (such as her Stormtrooper dragon in Norwich, UK). At the time of writing, BB-Owl is described on the Big Hoot website as the most-visited sculpture in the event! You can check him out yourself at Jellicoe Plaza, which is at the intersection of Jellicoe St and Brigham St, Wynyard Quarter, downtown Auckland (Google maps link).